GoodLife Brewing brewed is making its return. It’s the same recipe, with the same great taste and starting mid-October, Mountain Rescue Session Ale is Beer No.3 in the “Sustainable Session Series.” Whether you’re an over planner or under planner, experienced or not, bad situations can happen quick when you’re in the outdoors and that’s why we are thankful to have talented Search and Rescue teams available to us. Out here in Bend and beyond, getting the GoodLife means embracing the big mountain. But sometimes the mountain bucks back, and majestic beauty can instantly turn really hairy. When it hits the fan, the best at saving you is search and rescue. This Mountain Rescue Session Ale honors those highland heroes everywhere, the rugged volunteers who brave wilderness to get us. So we’re chipping in some sales to support local life-saving crews. Because nature plays rough-always safety first, be grateful for backup and let the GoodLife shine. GoodLife Brewing’s marketing director, Chris Nelson, said, “I have a few close friends that have been saved by Search and Rescue. The fact that these teams leave families at home to come out and rescue strangers in sometimes nasty weather and locations for virtually no pay, no accolades, and knowing that their team barely has enough resources to safely save people, it made GoodLife want to do our part and help them out.” It’s typical for Search and Rescue teams to work between 200-500 hours per year, on top of their normal jobs, so that’s why we want to help raise awareness because Search and Rescue lives matter. 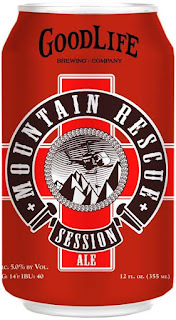 With an aroma that balances a floral note with a slight malt backbone, Mountain Rescue Session Ale’s herbal notes dominate the hop flavor and balances perfectly with the malt forward base of the beer. Mountain Rescue will be available in 6-pack cans and draft (1/6 BBLS and ½ BBLS) between Oct. 2016 and Feb. 2017 with distribution in Oregon, Washington, Idaho, and Vermont. For the “Sustainable Session Series,” we’ve teamed up with three organizations to brew three different beers with 1% of total sales benefiting each organization. Beer No. 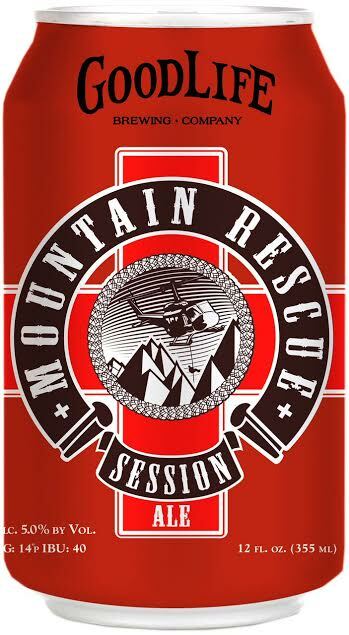 3 in the series is be Mountain Rescue Session Ale and benefits our local Search and Rescue. Be on the lookout for it mid-October 2016.